Isolated DC/DC converters released by Recom feature wide input ranges at low cost, says the company. 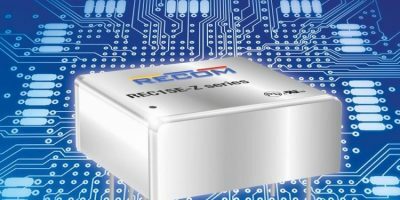 The REC15E-Z series of 15W DC/DC converters saves “significant” PCB space, says Recom, while the wide input ranges increase flexibility by accepting several standard bus voltages. The REC15E-Z DC/DC converters have no minimum load, 1600V DC isolation, high efficiency up to 90 per cent and low ripple/noise. 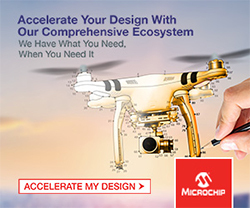 The REC15E-Z series is designed for cost-sensitive applications where board space is at a premium, adds Recom. The wide 4:1 input ranges accept 9 to 36V or 18 to 75V to cover multiple supply options such as lead acid or lithium batteries or 12, 24, 36 and 48V industrial bus voltages. The inputs are protected against transients of up to 100V and feature under-voltage lockout (UVLO) to protect batteries from being over-discharged. A further protection feature is that the single or dual outputs are continuously protected against short circuit and overload conditions and can drive high-capacitive loads. 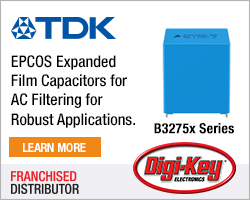 The DC/DC converters are fully certified to industrial EMC and safety standards and carry a three-year warranty. 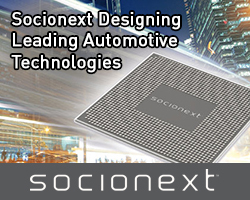 Samples and OEM pricing are available from all authorised distributors or directly from Recom. Recom Power supplies a full range of DC/DC and AC/DC converters in every power class up to 960W, switching regulators and LED drivers. The company’s R-78 switching regulators have become industry standard. The Recom headquarters in Gmunden, Austria, includes a logistics centre and laboratory wing.